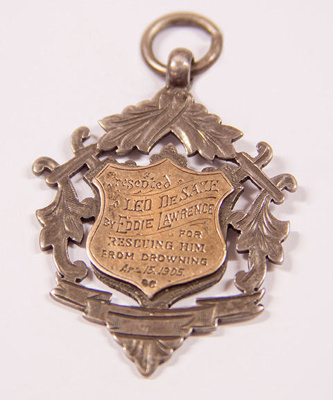 Awarded to Leo De Saxe for saving Eddie S Lawrence from drowning at Moruya Wharf in 1905. Eddie's father was the local police constable. Both Leo and Eddie went on also to enlist in WW1.